We compare battery life on all four new Moto G7 phones to see whether these phones share a battery life as similar as is there appearance. We have the basic Moto G7 Play, the Moto G7 and G7 Plus, all three with a 3,000mAh battery, and then the Moto G7 Power, a phone built around great battery life and featuring an absolutely massive 5,000mAh battery cell. While it's clear that there will be at least some differences, we were curious to see the exact difference in battery life between these phones. Let's take a closer look. 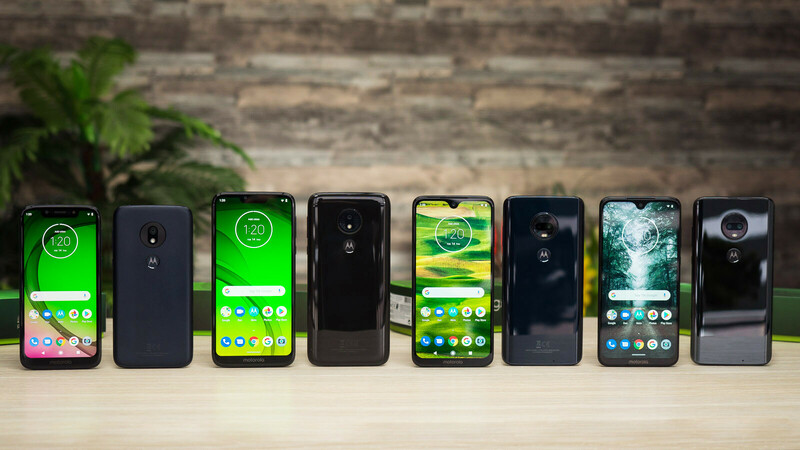 Among these four new Motorolas, there is one that is focused on bringing the absolute best battery life and that model is the Moto G7 Power. The Power comes packed with a 5,000mAh battery, much larger than the 3,000 mAh cells installed on all other G7 models. Combine the large battery of the Power with its efficient processor and 720p HD display that is not very taxing, and it's not a surprise then that the G7 Power lasts longer than the other phones in the series. What was a shock to us, however, was not just that this phone was the longest lasting among these four, it was also the longest-lasting phone we have ever tested, and that's quite the achievement! Motorola says that you can expect a full 3 days on a single charge, and we feel that those expectations are actually justified on the Power, it's battery life is that solid. The affordable Moto G7 Play also scores an excellent nearly 11 hours and a half on our test, more than most other phones that we have tested, and with moderate use you can get two days off the charger on the Play. The two higher end models in this series, the G7 and the G7 Plus actually score lower than their cheaper siblings: the reason for that might be in the more taxing Full HD displays on both of them, or something else. Battery life on both the G7 and the Plus average around 9 hours and 20 minutes, a respectable score that grants you about a day, or a day and a half off the charger. Battery life is not the only part of the battery equation: how fast you can recharge your phone also counts a great deal, especially when you forget to plug in your phone overnight. 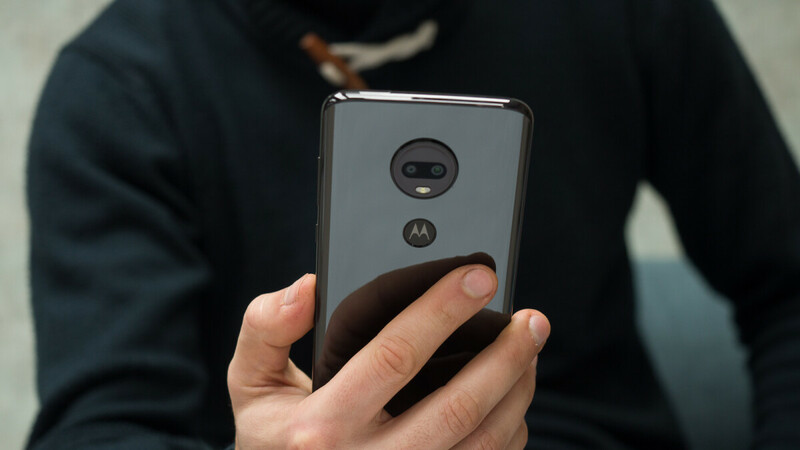 Good news is that in this regard the new Moto series provide another pleasant surprise: the Moto G7 Plus here again shocked us by being the fastest phone to go from 0 to a full, 100% charge in just 48 minutes. Even if you forget to charge the Moto G7 Plus overnight, you only need to charge it for half an hour to reach an 80% charge level. The Moto G7 also charges up quickly, taking just an hour and a half for a full charge, but it's nowhere nearly as fast as the G7 Plus. The Moto G7 Power might have an absolutely amazing battery life, but it does not have the fastest charging technology available and it takes a longer while to charge. It takes nearly two hours and a half to fully charge up the Power. Finally, the basic Moto G7 Play with its puny 5-watt charger takes a full 3 hours and 5 minutes for a full charge. 0% to 100% in 48 minutes? That's impressive. That is one thing I miss about my Z3, Charging was super fast compared to my Pixel. I believe it was 18W or 15W but that sucker charged fast. Your battery life testing scripts are really bad. GSMarena has tested battery life of Moto G7 Plus and it has come out to be really poor. And it's to be expected given only 3000mAh for 6.2 inch display. That may be, but given that it's the baseline for this site, it allows you to compare it to other phones PhoneArena tests. So take it for comparison's sake, and not as the exact SOT you will get. If it bugs you that much, put up your own comparison. The G Plus series has had battery life equal to or better than the average flagship phone. As a previous Moto G5 Plus owner I can say it has a better than average battery life, because the SoCs they use are very energy efficient. So I can see this being quite accurate. GSMArena's unit was faulty. Constantly getting really good battery life with 2 sims, Huawei Watch 2 connected all the time, 150 apps installed and 2 WhatsApps. Results (can't post a screenshot because I don't have enough posts): Last full charge 21 hours ago Screen Usage: 4 hours and 6 minutes 8% left It was 7:21AM after I came from partying. My Moto Z2 Force dies at 10PM from 9AM with the same and scored 69 hours in GSMArena's test. I also have the regular G7 to try it out and with the same configuration the G7 is about the same as the Z2 Force. Most impressive in all of this is the fact that the G6 Play had a 4000mAh battery, and the new G7 Play with its 3000mAh battery is within such a close range of battery life. That speaks volumes about the efficiency of the new chips. Also, notches are just dumb. Rather have a little bezel.